Hey guys! I hope you are enjoying your summer so far. Have fun linking up your awesome posts from the past week. I can’t wait to see what you guys have been up to. It’s Always Autumn covered some basic plastic bins with fabric and I love how crisp and sleek they look now. Make a pretty picnic blanket out of old jeans over at Cutesy Crafts. My Repurposed Life turned an old ammo box into a retro coffee table. Totally diggin’ this! What a fun Construction Birthday party from Cheerios & Lattes. Click through for tons of cute ideas! 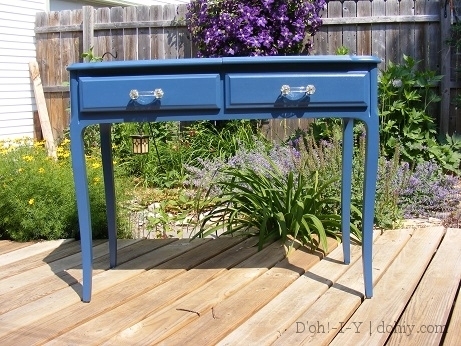 D’oh!-I-Y made over a side table. Great blue color! 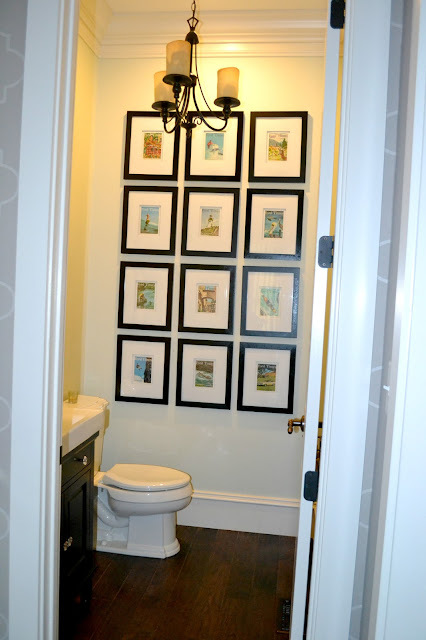 Great big statement wall art using lots of little frames from Decor You Adore. 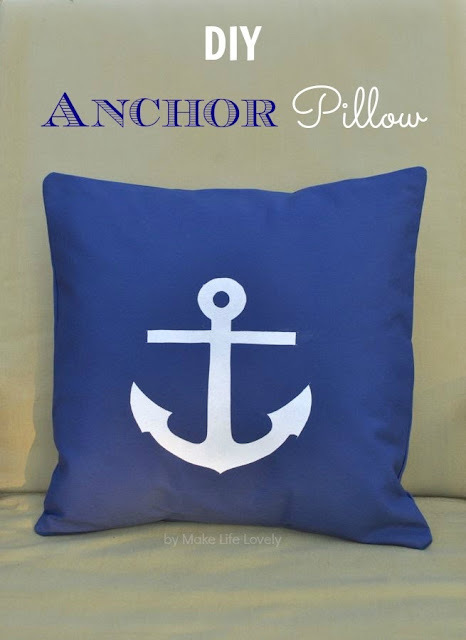 Make Life Lovely shows how to make an anchor pillow. 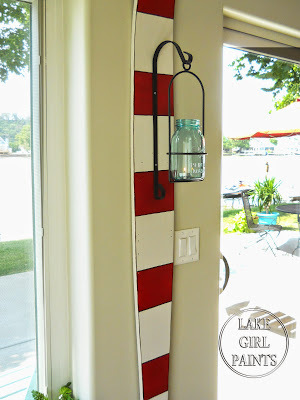 A really fun water ski candle holder from Lake Girl Paints. Will Work For Eskimo Kisses shares how to DIY your own homemade glitter playdough. Like a Saturday‘s hand dipped spoons makes my heart go pitter patter. 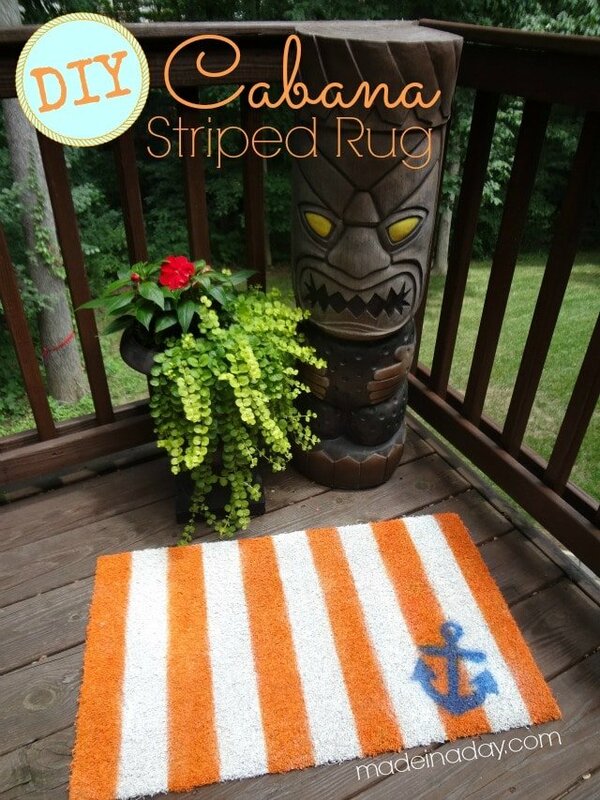 I am so into this nautical look right now and this striped anchor rug from Made in a Day makes me all warm and fuzzy inside. 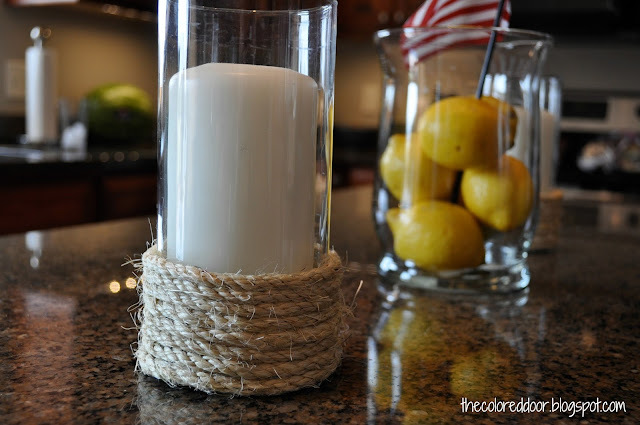 The Colored Door made some rope candle holders. I love that she used big fat rope. I looove the features, so much talent. Thanks so much for hosting, it’s an awesome opportunity to find some awesome inspiration!!! Thanks so much for hosting, Miss Allison! Hope you have a wonderful week! Thank you for featuring our table make-over! That just made my week! Thanks for hosting such great link parties, and for being awesome. Another great party and another round of great features! Woohoo! Thank you for having me, Allison! Hey, Allison! Thanks so much for hosting. Have a wonderful day! Thanks for featuring my Construction Birthday Party! Another great party! Thanks for hosting. 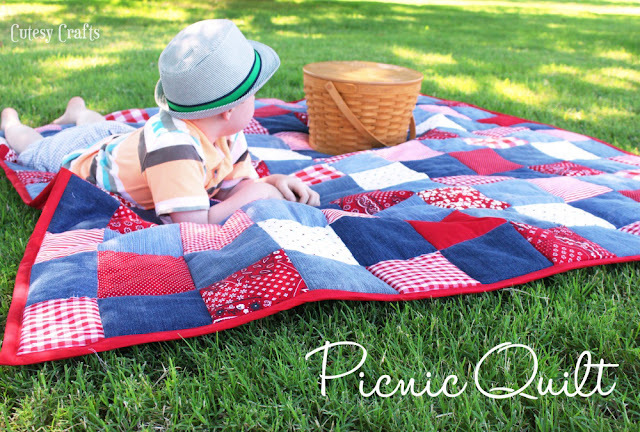 Thanks for featuring my picnic blanket! Have a great week! I have several favs this week. The ski and the painted outdoor rug are both really great! I have enjoyed stopping by again this week! Thank you so very much for hosting, Allison! HOH is the place to be! 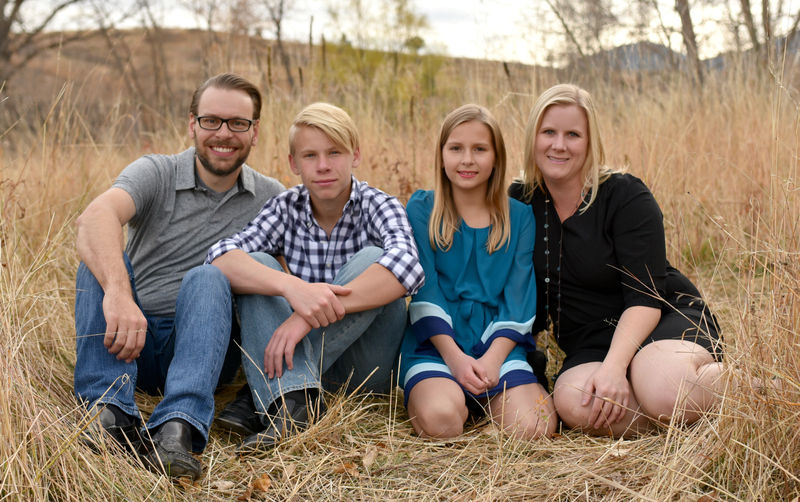 Thanks for the shout out and thank you for hosting!